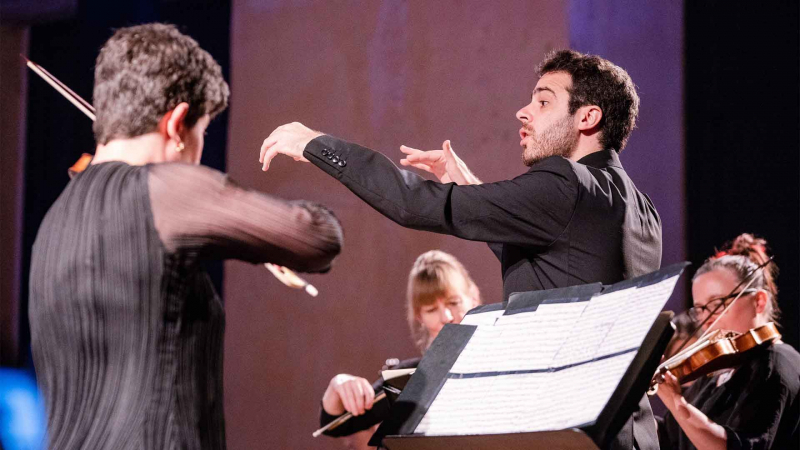 ​Dinis Sousa is Assistant Conductor of the three Monteverdi ensembles, the first-ever in the history of the Monteverdi Choir & Orchestras. 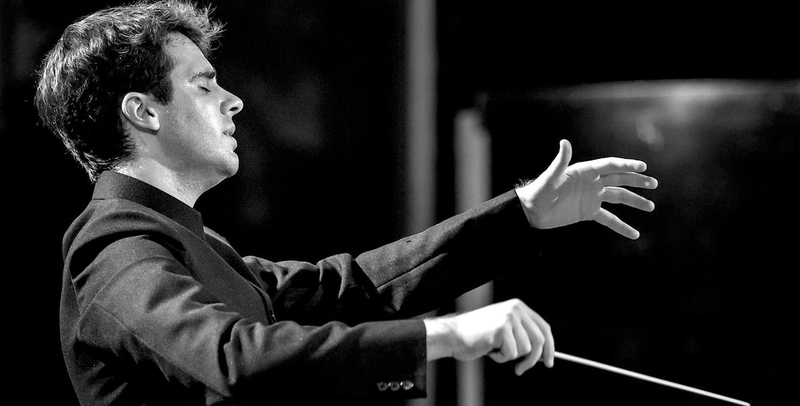 The London-based Portuguese conductor and pianist Dinis Sousa has worked closely with Sir John Eliot Gardiner, both with his ensembles and with other orchestras including the London Symphony Orchestra, Berliner Philharmoniker and Tonhalle Orchester Zurich. At the 2016 BBC Proms, Sousa co-conducted the Monteverdi Choir in Berlioz’s Roméo et Juliette, in a critically acclaimed performance that was televised on BBC4. 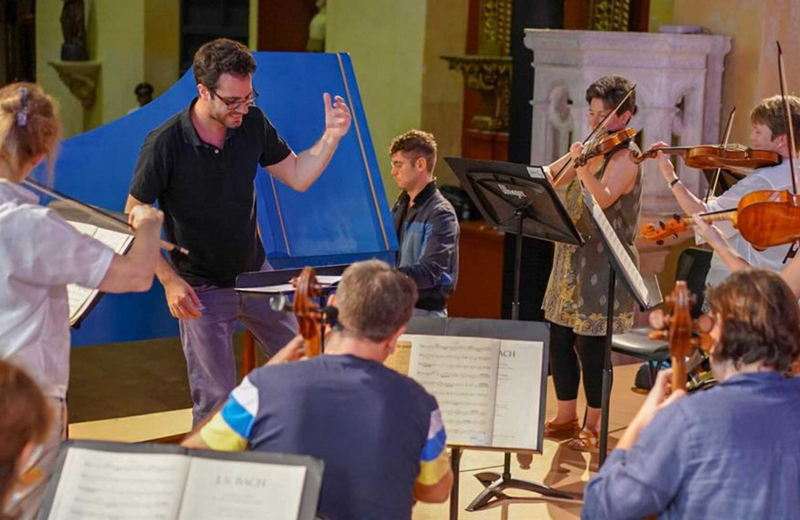 In January 2019, Sousa conducted the English Baroque Soloists in four concerts at the Cartagena International Music Festival. Sousa studied at the Guildhall School of Music and Drama, where he was Conducting Fellow, during which period he prepared the Guildhall Symphony Orchestra for concerts with Bernard Haitink. Other conducting projects included Bach’s St John Passion at Milton Court and a staged production of Harrison Birtwistle’s opera Down by the Greenwood Side at the Silk Street Theatre. Sousa studied conducting with Sian Edwards and Timothy Redmond and piano with Philip Jenkins and Martin Roscoe. As pianist he has taken masterclasses with Yekaterina Lebedeva, Sequeira Costa, Angela Hewitt, Richard Egarr and Ralf Gothóni among others. Sousa is Founder and Artistic Director of Orquestra XXI, an award-winning orchestra bringing together some of the best young Portuguese musicians living abroad. 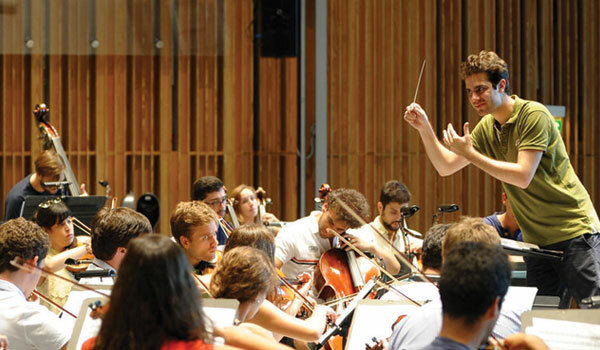 The orchestra has already established itself as one of the leading performing groups in Portugal, appearing regularly at major concert halls to critical acclaim. With Orquestra XXI, Sousa has explored a wide range of repertoire, from Bach and Purcell to the great symphonic repertoire of Brahms, Beethoven and Tchaikovsky, as well as premiering new works by Portuguese composers. 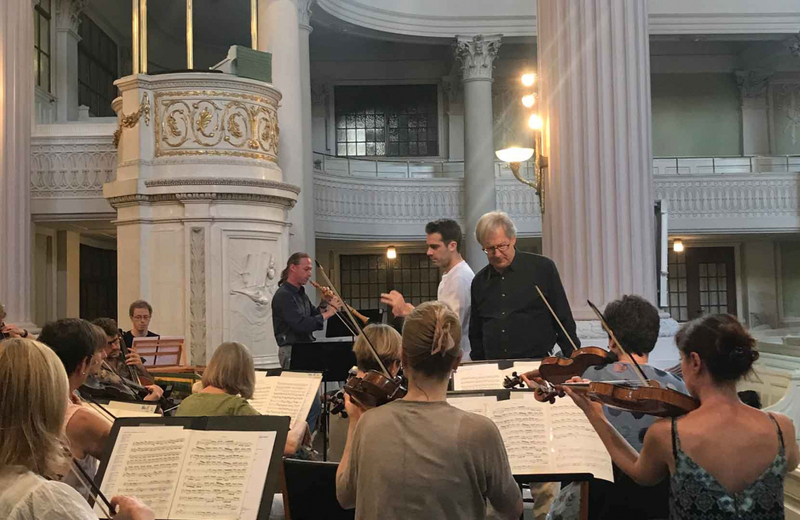 As a guest conductor, Sousa has conducted the Southbank Sinfonia, Aurora Orchestra, Portuguese Symphony Orchestra and the London Symphony Orchestra, recently replacing Daniel Harding in rehearsal. Other highlights include opening the Gulbenkian Foundation Season and appearing at Centro Cultural de Belém’s festival “Dias da Música” for a televised concert of Schumann’s Das Paradies und die Peri with the Gulbenkian Choir and an international cast led by James Gilchrist. In recognition of his work with Orquestra XXI, Sousa was awarded the title of Knight of the Order of Prince Henry by the President of the Portuguese Republic, Anibal Cavaco Silva.